Through pedagogical narratives, literary analyses, reflective essays, and collaborative dialogues, Narratives of Educating for Sustainability in Unsustainable Environments explores the professional and intellectual tensions of curricula, pedagogies, and personal practices that honor the relationships of interspecies ecologies, reinhabit and reconceive wounded landscapes and wounding institutions, and allow us to reattune ourselves to new yet ancient frameworks for sustainability. For the writers here, fostering sustainability in higher education means focusing on place, creating positive relationships with humans and other beings, and creating administrative structures that will maintain new approaches for the long-term, showing how teaching environmentally is at once intensely site-specific yet powerfully global, deeply personal yet visibly public. 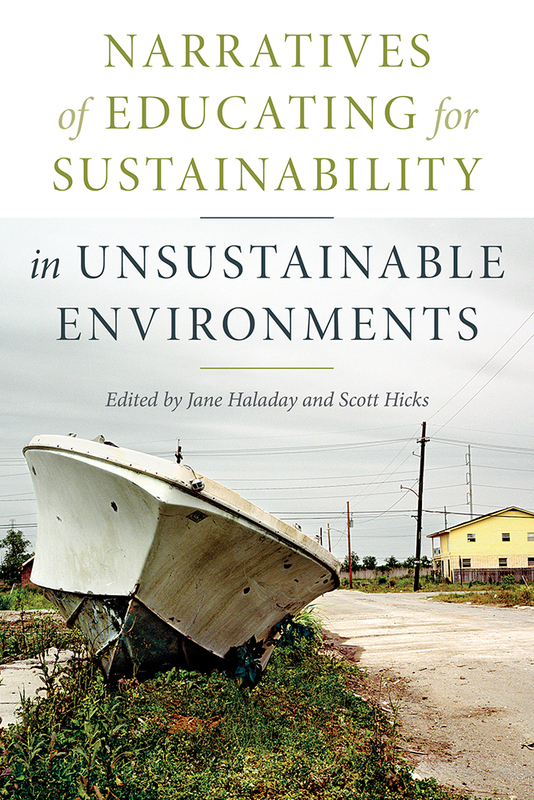 Narratives of Educating for Sustainability in Unsustainable Environments confronts the contexts that make environmental pedagogies difficult, the challenges to the well-being of the teacher-scholar, and the corrosive academic structures that compartmentalize knowledge and people. The collection simultaneously offers models for working through and within these challenges to advance understandings and ways of being on local, global, and personal levels that will turn the planetary tide toward effective and shared sustainability. Jane Haladay is a Professor of American Indian Studies and a member of the Esther G. Maynor Honors College faculty at the University of North Carolina at Pembroke. She has received awards for outstanding teaching and UNCP's Excellence in Service Learning Award. Scott Hicks is a Professor of English and a member of the Esther G. Maynor Honors College faculty at the University of North Carolina at Pembroke. He has won awards at UNCP for excellence in teaching and service- learning, and he served as Chair of UNCP's faculty senate from 2014 to 2016.